Today we celebrated Founders Day, and the 120th anniversary of the WI Movement! On February 12th, 1897, Adelaide Hunter Hoodless was invited by Erland and Janet Lee to speak at the “Lady’s Night” of a Farmers Institutes meeting in Stoney Creek, Ontario. Adelaide challenged the women to form their own group, where they could meet regularly not just to socialize, but also to learn from and empower each other to improve their communities. After hearing Adelaide’s words, Erland and Janet Lee were so inspired that they went home and drafted the first constitution of the Women’s Institutes on their dining room table. 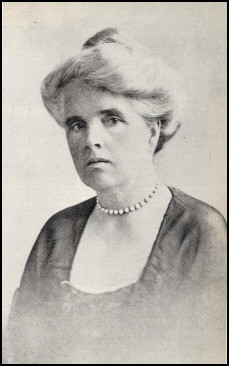 One week later, Adelaide was invited to return to Stoney Creek where she found 101 women in attendance of the inaugural meeting of the Women’s Institutes, with Adelaide as the honorary president. This was on February 19, 1897; 120 years ago today. Stoney Creek was the first branch of the Women’s Institutes, but the movement soon grew. Since then, the movement has spread nationally and internationally. Today in Canada, there are 672 branches distributed throughout 10 provinces, with approximately 8,000 members. Over the last 120 years, the WI movement has inspired & empowered women to make a difference. Members have worked hard to strengthen their communities through volunteerism, fundraising, and the lobbying of all levels of government. Many members boast lifelong friendships across our country, and indeed all over the world. Women’s Institutes bring people together. What started as a group of 101 women meeting in Stoney Creek, has become a international movement of incredible and passionate women (and men) who make a difference in our world. We are honoured to celebrate what began 120 years ago, and continues to this day. It has been said that November and January are the longest, darkest and loneliest months of the year for many who face mental health issues. The commercials for Bell Let’s Talk on the TV bring a ray of hope to those who are suffering. Reach out to family and friends every single day – they may need an encouraging word and your voice could be the ray of sunshine for the day. We have just had our Executive Officers participating in the second Skype call on Saturday, January 21st for 4 1/2 hours. They have come out of their comfort zone to hook up to modern technology and I think you are awesome! Discussion included finances, moving forward with the Board Restructuring Ad Hoc Committee, IPG Scholarship, FWIC 100th Anniversary, WI Logo, rebranding and launches. As you can see, we have lots of exciting things being worked on. Our next Skype call will be March 4th. I declare February as WI Month. How will your branch celebrate February 19th, Founder’s Day or Adelaide’s Birthday on February 27th? Send us your photos and we will display them on our website and Facebook pages. Tie blue & gold ribbons to your mailbox or vehicle antenna for the month of February. About a year ago, I shared a couple of Adelaide Hunter Hoodless’ apple recipes with you. Click on this link if you’d like to re-read that post. This year, I want to share with you (read: brag about) my recent triumph in the pie-making department. One of the members of the Women Inspiring Women WI is a prize-winning pastry maker. Elaine Tully will hold a couple of workshops later this fall for our WI, but first she wanted to have a technical rehearsal at the church kitchen. There I made my first ever peach pie. OH. EM. GEE. as they say. It was wonderful good! Yesterday, I made an apple pie using Addie’s Apples. Literally. These apples were picked from the trees at the Homestead. I don’t know the variety of apple, but the flesh is crisp and tart. It held up well in the baking. I’m going to pick more this week and make applesauce. My hubby tried an apple fresh and found them rather tart. When I told him that I had made a pie he asked, “Did you put in lots of sugar?” Of course, I did, we’re talking brown sugar here! Cover with the top crust, flute edges, and slash the top to create vents for steam to escape. Bake at 375 degrees for 40 to 45 minutes until the crusts are a pale golden colour. Introducing: The Adelaide Hunter Hoodless Canadian Woman of the Year Award is the premier national award of Women’s Institute celebrating the achievements of the most successful in this inspiring group. This award recognizes a woman for demonstrating excellence—from leadership to social change, from local to global reach, across multiple sectors. We are honored to shine a spotlight on her. We have a wonderful opportunity to recognize some of the top female leaders in Canada through the Adelaide Hunter Hoodless Canadian Woman of the Year Award. These women do not have to be members of Women’s Institute. This Award seeks to acknowledge dedicated women whose contributions make their communities and our world a better place to live. Adelaide Hunter Hoodless Canadian Woman of the Year Award recognizes the hard work, dedication, and support that these women have offered and continue to offer as they give leadership, inspire others, and make a difference while exhibiting the qualities of Adelaide Hunter Hoodless, the founder of the Women’s Institute Organization. Adelaide Hoodless dedicated her life to ensure women had educational opportunities. Adelaide Hoodless was called “one of the most famous Canadian women…yet one of the most obscure.” She is credited as being co-founder of the Women’s Institute, the Young Women’s Christian Association (YWCA), the National Council of Women, the Victorian Order of Nurses (VON), and a major force behind the formation of three faculties of Household Science. Adelaide Hoodless exemplified women supporting women, through education, encouragement, and social action. To nominate yourself or a friend, please complete the one page nomination form downloadable from the FWIC website and submit it to fwican@gmail.com. Nominees will be judged based on the leadership they have exhibited and the ways they have given back to community by mentoring or supporting other women. Nominations will close at midnight on December 31st each year and winners will be notified in February. Please contact your WI provincial office or visit our website for the one page application. Please note nominations are open to all living Canadian women who inspire others and work for positive change for their community or country. Applications are due to FWIC by December 31 of each year. Dr. Ellen McLean being presented with the award in her home by Nova Scotia WI member Eleanor Lilley. Congratulations to Dr. Ellen McLean of Nova Scotia for being the premiere recipient of The Adelaide Hunter Hoodless Canadian Woman of the Year.